Garam Masala. This is one I make at home but it’s integral to so many of my dishes that I want to recommend a good quality Garam Masala to those who may not want to make it at home. My Butter Chicken recipe definitely relies on this one. Curry Powder. 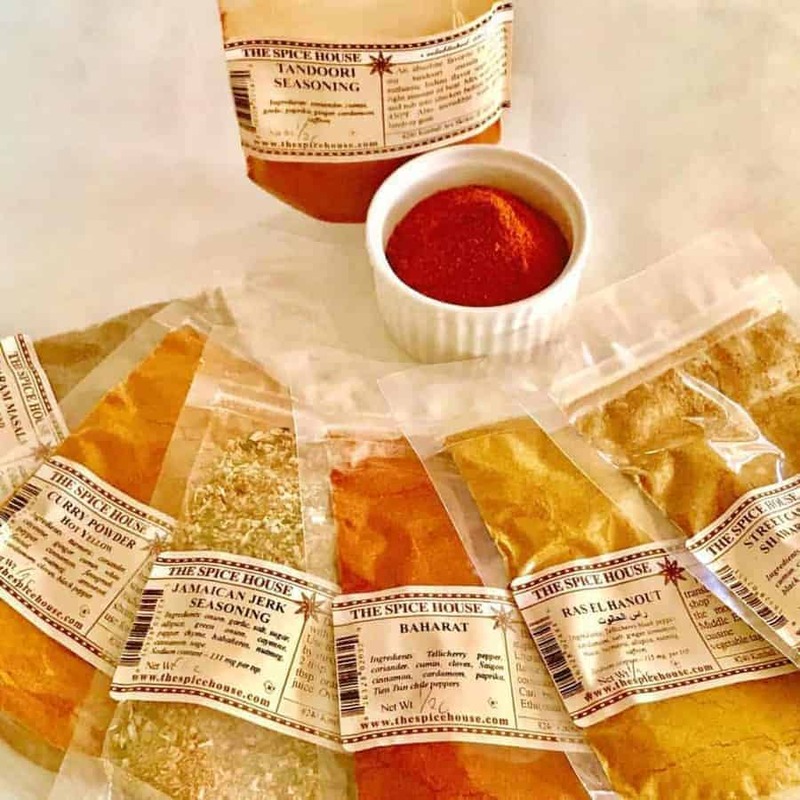 I have told people repeatedly there is no such thing as authentic curry powder–but people want one anyway so I thought I’d try this one and report back. Jamaican Jerk Seasoning. I plan to try this with chicken and will report back as to how it works. Baharat. This all-purpose Middle Eastern Spice can be used for a variety of things, but I am thinking of using it to make Kebabs. Ras al Hanout. This spice demands some chicken or lamb to keep it company, so I will think a little more on what I can make. Streetcar Shwarma. I have a wonderful shwarma recipe which I make my own shwarma mix but I think I will try this and see how it works as a substitute. Tandoori Seasoning. I opened this and took a whiff of it and my eyes rolled back into my head, it was that good. I’m super excited about trying to make Tandoori Chicken with this one today.